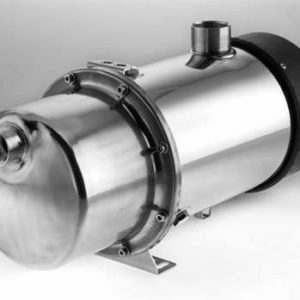 We supply a range of innovative clean water pumps, oil pumps, marine (seawater) pumps and related products. 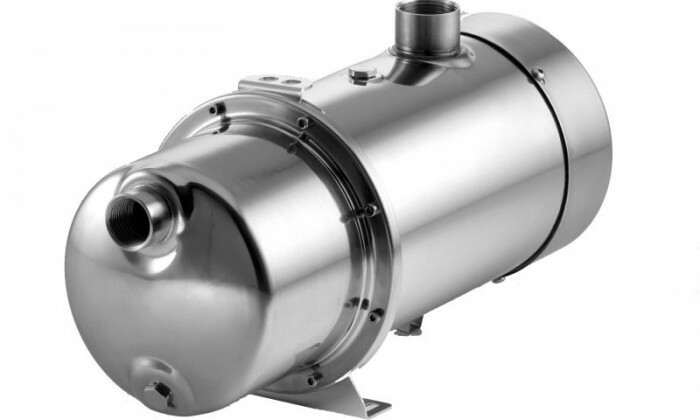 Our pumps are assembled in Italy from entirely EU sourced components. Each pump is individually tested during production so that each SteelPumps product meets the high standards you would expect of an Italian made pump. 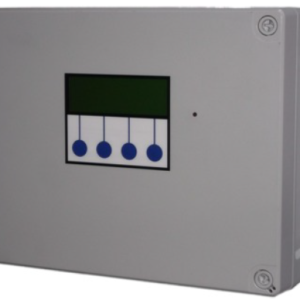 The majority of our pumps are available with our advanced electronic pump control module. 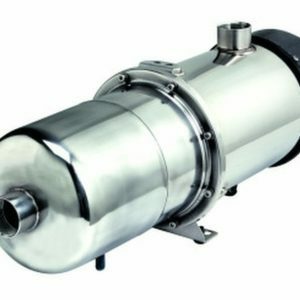 This is built into the pump itself and switches the pump on and off as required to maintain pressure in the discharge line. 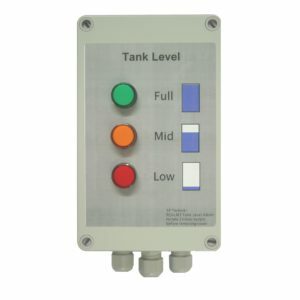 In addition the control module provides dry run protection and leak detection. 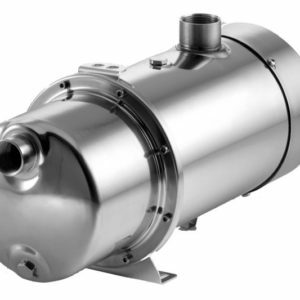 All of our pumps use strong, durable materials, with the PRO series being housed entirely in stainless steel, with strong brass supporting flanges. 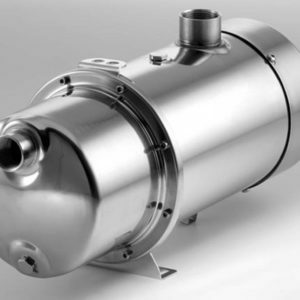 Water cooled motors provide far superior cooling than air or oil cooled pumps in enclosed or warm areas, providing for reliable operation in plant rooms and cabinets. 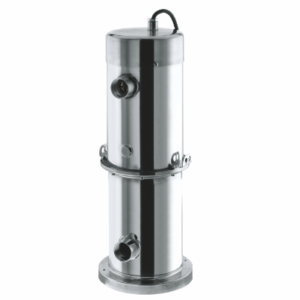 SteelPumps do not need to be submerged to operate safely. Most of our range is available in Automatic as well as Manual versions. 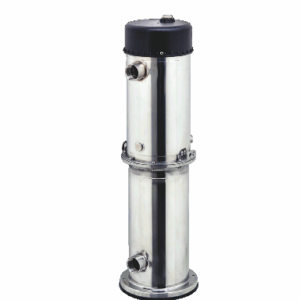 Automatic pumps include an in-built electronic pump control module which switches the pump on and off as required to maintain pressure in the discharge pipe. No external pressure controller is needed. Also included are safeguards such as dry run protection with automatic restart intervals, leak detection, and anti-blocking. 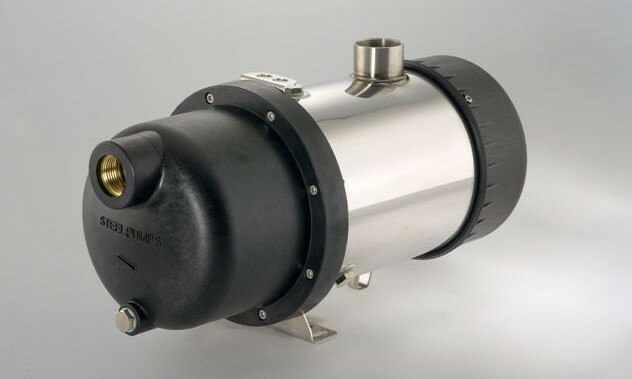 These advanced features make Automatic SteelPumps a class leading product for water delivery applications such as rainwater harvesting, washdown, pressure boosting and irrigation. Vertical or Horizontal body styles, 4 different motors, and 3 build levels allow you to choose the configuration and price range to suit your application. 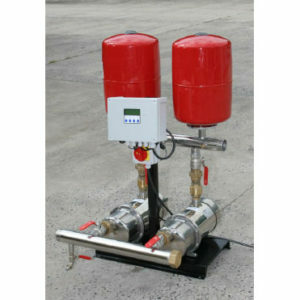 P Series Pumps – Designed primarily for portable and garden use. 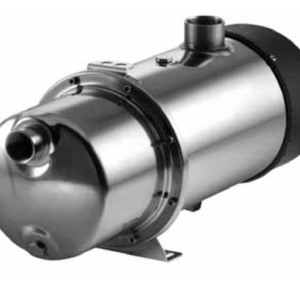 B Series Pumps – Designed for domestic and light commercial use. PRO Series – Extensive use of stainless steel and brass, designed for commercial and industrial use. 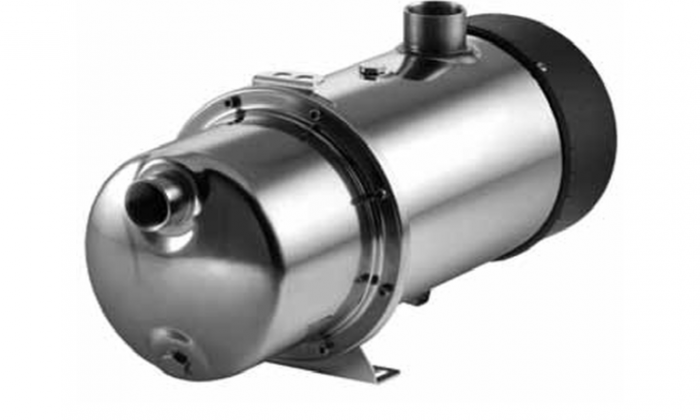 Automatic Operation – Stops the pump by flow sensing, restarts on pressure drop. Anti-Blocking System – Starts the pump briefly after 72 hours of inactivity. 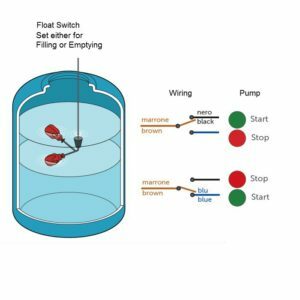 Dry Run Protection – Stops the pump upon loss of flow. Automatic restarts attempted at 15min, 30min, 1hr, 5hr and 24hr. Leak Detection- Stops the pump if 40 restarts are detected within 27 minutes (B and Pro Series). Class leading technical pump performance. Cable lengths modified at factory under warranty, to order. 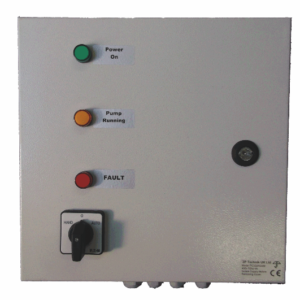 Float switches to your specification, to order. Fully supported, class leading RMA and faulty diagnostic service. Every component is replaceable from UK stock. 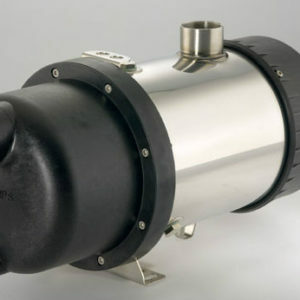 The SteelPumps Evolution range of pumps are supplied in the UK and Ireland by 3P Technik UK Limited. They are widely available from leading Pump Merchants, but in case of difficulty or for all technical advice please Contact Us at any time.